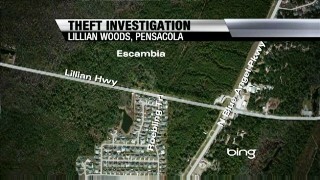 A local homeowners association is missing $90,000 and Escambia County deputies say their treasurer stole it. The Lillian Woods Association in Pensacola is now juggling their money to pay off their debt. The Escambia County Sheriff's Office says, since 2007 the Lillian Woods Homeowners Association's treasurer has embezzled around $90,000. The HOA is now in debt for around $6,000. Deputies say, over the last five years, Hedi Dyer wrote checks from the association's three accounts to herself, her husband, and her business, quality transcriptions. In June of 2012, Regions Bank became suspicious eventually freezing the account. "We're a quiet little community here and for that to happen is just disgraceful. It's just that no one has honor anymore," said Barbara Churchman. 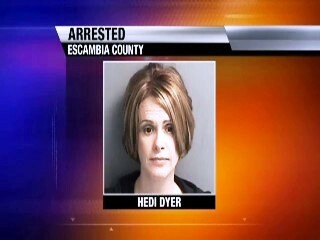 During an interview with deputies, Dyer admitted paying some of her company's employees at least twice with the HOA money. The HOA president Kevin Redmond says the community is now $6,000 in debt. "We're making do right now. Some of the homeowners in the subdivision are taking care of some of the maintenance areas and stuff like that and I've talked to the people that we owe money to and they're okay waiting for the December, January time frame to repay them," said Redmond. Redmond says dues for 2013 will be turned in soon and new measures will be put in place to protect the homeowners' money. "We're going to put steps in this time, have a counter checking. Have two people's signatures and depending if we get court restitution we might even hire a CAM one of those community management associations," Redmond said. Dyer is being charged with larceny and fraud. Her bond was set at $12,500.Treasurer steals $90,000 from local homeowners association.